Holland Contracting have been problem solving specialists to the heritage, utility, building and groundwork industries for over 40 years, throughout the West Midlands and Black Country. Our areas of operation cover a wide range of activities - our ability to consistently accomplish the most difficult jobs at the highest possible level of service has made us the contractor of choice for many businesses and organisations in the region. Buildings of historical interest often come under threat from encroaching societal pressures, sometimes caused by urban regeneration, sometimes simpler commercial pressures. In these instances, relocating the building to a new site may be an ideal solution, saving the structure and affording the opportunity to restore a building to its former glory. Recording and cataloguing each individual brick, piece of stone, window, door and all other physical features, preserves the accuracy and historical merit of the structure. 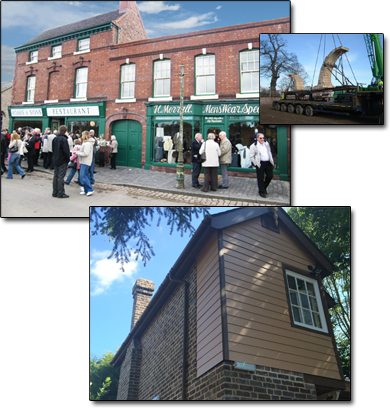 Visit our Historical Building Relocation page for further details. 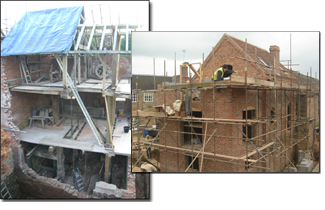 Specialist building, restoration and construction is our forte. We have an immense amount of pride in preserving a building's history, yet we understand the demands of modern living. We have had the pleasure of working on many distinguished and unique projects; visit our Specialist Building, Restoration & Construction page for examples and information.